Features the FliteControl wad and FliteStopper (FS) lead. Specially designed for the needs of pheasant hunters. Mix of Premium copper-plated lead (70%) and nickel-plated FS lead (30%) gives these loads better down-range performance. 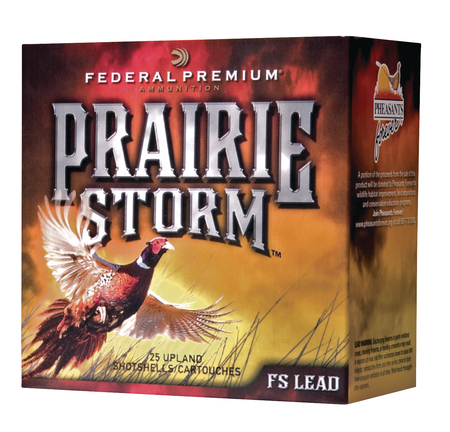 Pheasants Forever logo on the box means money goes back to habitat on the ground. 25 rounds per box, 10 boxes per case.